Market confidence by investors are reflected in high and rising bond and stock valuations, says a statement. The Council took note of the overall stability achieved on the back of structural reforms. 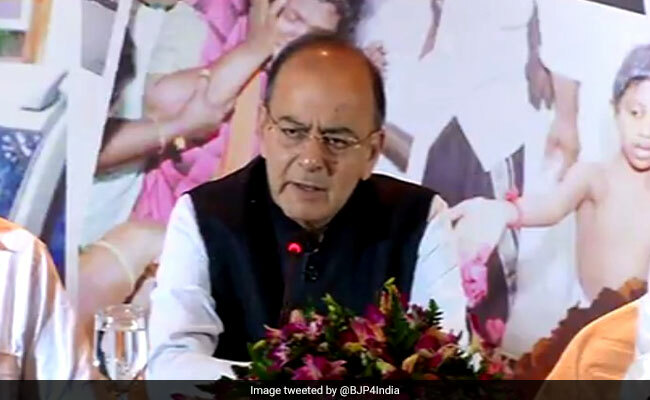 New Delhi: The Financial Stability and Development Council (FSDC), headed by Finance Minister Arun Jaitley, on Tuesday weighed in on challenges facing the economy and underscored the need for keeping a constant vigil on them. The Council, comprising regulators, also took note of the overall stability that has been achieved on the back of improvements in macro-economic fundamentals, structural reforms with the launch of the Goods and Services Tax (GST), action being taken to address the twin balancesheet challenge and financial market confidence. Market confidence by investors are reflected in high and rising bond and stock valuations and long-term positive consequences of demonetisation, a finance ministry statement said after the meeting. "The Council also discussed the issues and challenges facing the Indian economy and the members agreed to the need to keep constant vigil and be in a state of preparedness of managing any external and internal vulnerabilities," it said. Chief Economic Advisor (CEA) Arvind Subramanian made a presentation on the state of economy. The meeting was attended by RBI Governor Urjit Patel, Sebi Chairman Ajay Tyagi, Irdai Chairman T S Vijayan, PFRDA Chairman Hemant G Contractor, and secretaries from several ministries. The Council, in its 17th meeting, also took note of the progress of the Financial Sector Assessment Programme for India, jointly conducted by the International Monetary Fund and the World Bank. "The Council directed that the assessment report should be finalised by the end of this calendar year," it said. In order to strengthen cyber security, the FSDC reviewed developments and progress made in setting up of the Computer Emergency Response Team in the Financial Sector (CERT-Fin) and the Financial Data Management Centre and discussed measures for time-bound implementation of the institution building initiative. A brief report on measures taken by the FSDC Sub-Committee Chaired by the RBI governor was resented at the meeting. The Council went for a comprehensive review of the action taken on the decisions at earlier meetings of the body. The meeting deliberated on the Central KYC Registry (CKYCR) system, took note of the initiatives taken in this regard by the members and discussed the issues and suggestions in respect of operationalisation of CKYCR. Market regulator Sebi has already set December deadline for linking Aadhaar with KYC for stock market transactions. Besides, the Council dwelt at length on strengthening regulation of Credit Rating Agencies (CRAs).